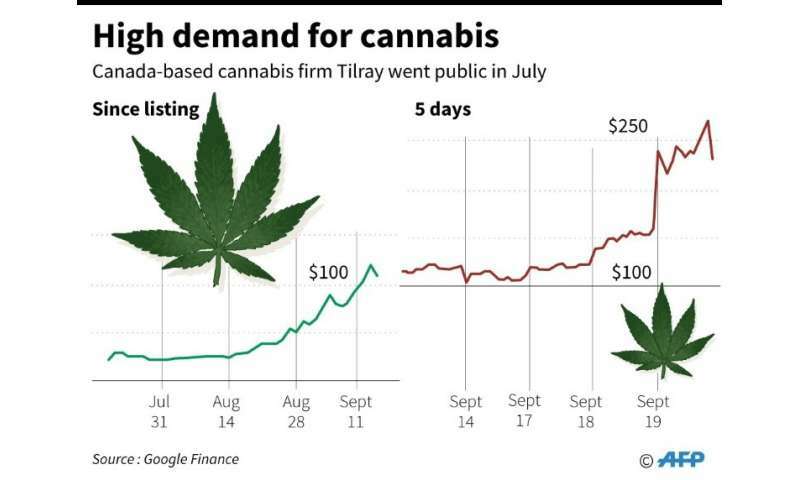 When Canada legalizes recreational pot Wednesday, market watchers predict the birth of a new industry—creating thousands of jobs, investor euphoria, a new tax source for governments and maybe even tourism. 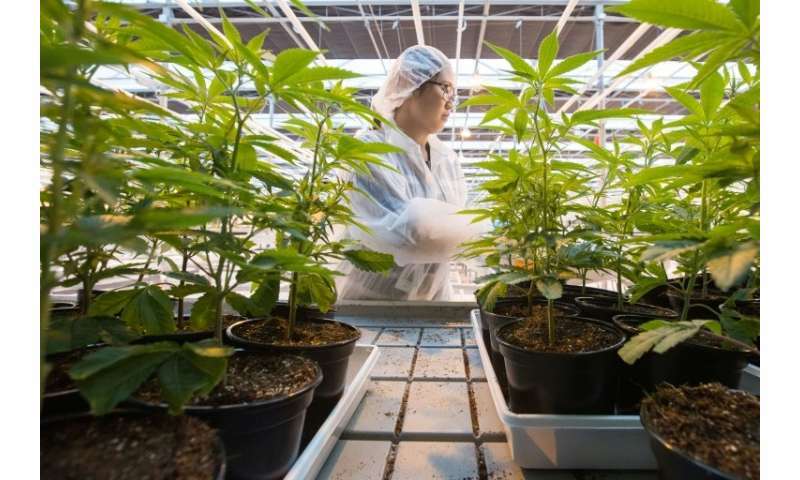 And with significant know-how gained since Canada's legalization of medical marijuana in 2001, others including Aurora and Aphria are making inroads abroad as more and more foreign markets allow therapeutic cannabis use and research. Experts like John-Kurt Pliniussen, a marketing professor at Queen's University in Kingston, Ontario, are also predicting a bump in tourism worth several billion dollars, citing as examples Amsterdam and a handful of US states where pot is legal. 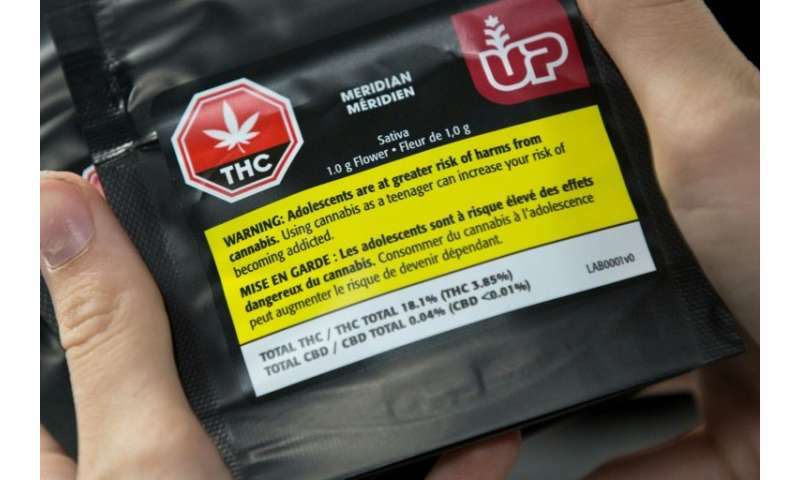 "The same can happen in Canada, because one of the things we have going for us and that no other country in the world has, is the name of our country—it is almost spelled very similar to cannabis," Pliniussen told AFP. "And so you could have Canatourism—from a marketing point of view, it lends itself very well." The consolidation will continue after legalization, says PwC, as an "expected oversupply takes its toll and forces undercapitalized players into bankruptcy" and firms "look to fuel further growth by tapping emerging foreign medical markets." Tokyo Smoke—a reinvention of the classic coffee shop—promotes cannabis lifestyle, selling pipes, infusers and other pot paraphernalia along with shots of espresso (but not cannabis itself). "I think Canada will become a world leader in cannabis—it's exciting and something we can be proud of," Tokyo Smoke vice president Josh Lyon told AFP. "Legalization will open the doors to a dynamic, sophisticated industry that will create new jobs, new opportunities for businesses, and new revenues for government," echoed Deloitte in a report. But there is disagreement among forecasters on just how much of a boost the new industry could give Canada's economy. But the government statistics agency expects the new cannabis industry to have at best a "minimal impact" on growth in Canada. And according to Benoit Durocher, a senior economist with Desjardins Bank in Montreal, it will be a drop in the bucket for this G7 nation's massive and highly diversified economy. "Given the small size (of the sector) relative to overall GDP (which is close to Can$2 trillion), the impact on growth will be very small or no impact at all," Durocher said. Go Canada go.... hopefully you guys will empty your prisons, reduce police harrasments, increase creativity, and just get more calm in the Canada.